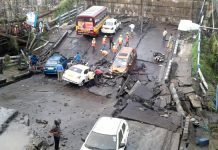 Kolkata: The state government and the city police appear to be pursuing the allegation quite seriously that the Majerhat road over-bridge in south Kolkata collapsed due to the work on Joka-BBD Bag Metro project in the vicinity. After the state government yesterday officially asking the Rail Vikas Nigam Ltd (RVNL) to suspend the Metro project work, Kolkata Police has today served a notice on the chief project manager AK Roy. 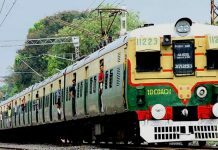 Roy has been asked to turn up at the police headquarters Lalbazar with the copy of the agreement that RVNL had inked with the Bengal public works department for the work on Joka-BBD Bag Metro project. Police sources said that they want to examine the clauses of the agreement and whether RVNL was adhering to those while constructing the Metro route. A Metro station has been under-construction barely 4.5 metre away from the Majerhat bridge that collapsed on 4 September, killing three people and injuries 19. 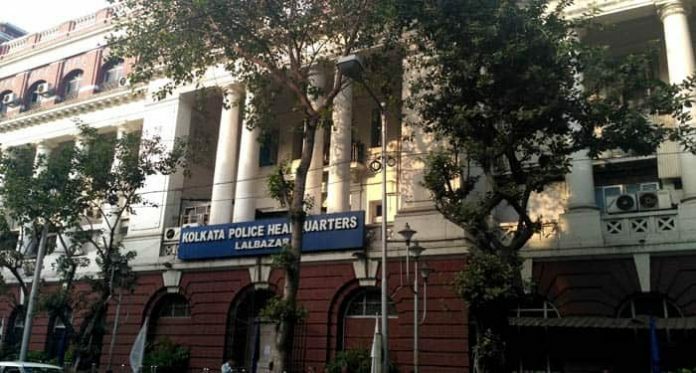 On the next day of the bridge collapse, Kolkata Police had registered an FIR against unnamed people under Indian Penal Code (IPC) sections 304 (culpable homicide not amounting to murder), 308 (attempt to commit culpable homicide), 427 (mischief causing damage), and 34 (common intention). No arrests have been made in this connection as yet. However, the state urban development minister Firhad Hakim had openly alleged that the pilling work and movement of heavy equipment for the Metro project had weakened the bridge. Chief Minister Mamata Banerjee had said that the Metro project work might have had a toll on the bridge’s health and the matter needs to be investigated thoroughly.